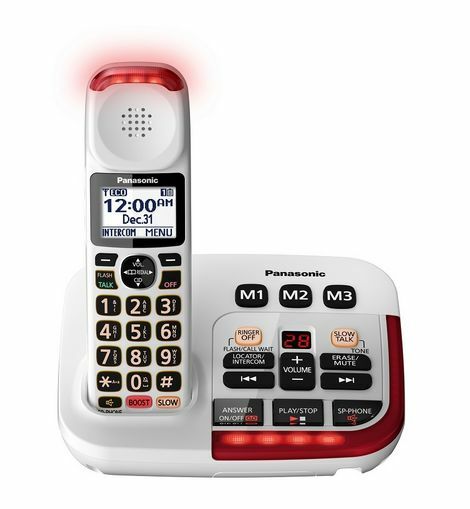 The Panasonic® KX-TGM470 features a 6.0 DECT cordless phone with a built in answering machine. Amplifies the volume of incoming calls and slow talk mode feature that allows you to slow down the recorded messages for better understanding. With its enlarged memory dial buttons, backlit slow talk and volume booster buttons, this phone is easy to see and easy to use. This reliable, full featured amplified cordless phone is the home phone solution for everyone effected by mild and moderate hearing loss.